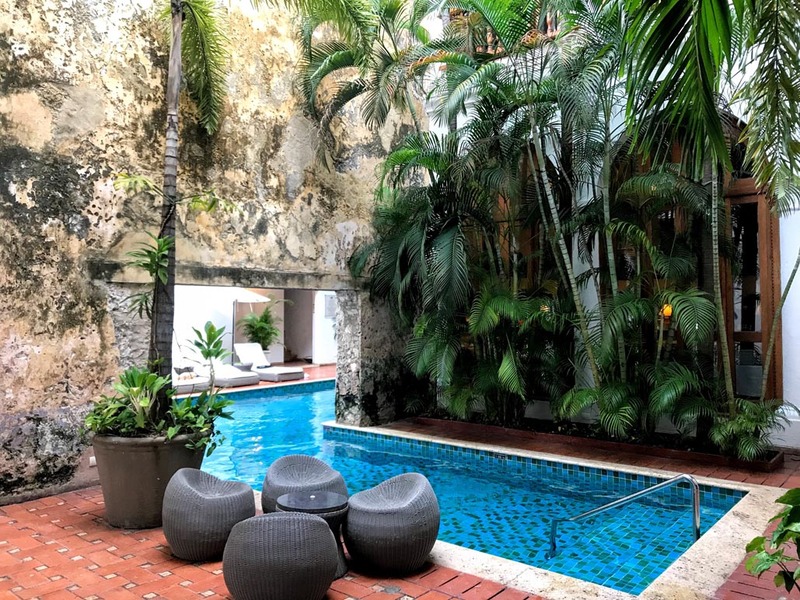 Parm Parmar of Blue Planet Adventure shares the best things to do in Cartagena, Colombia. 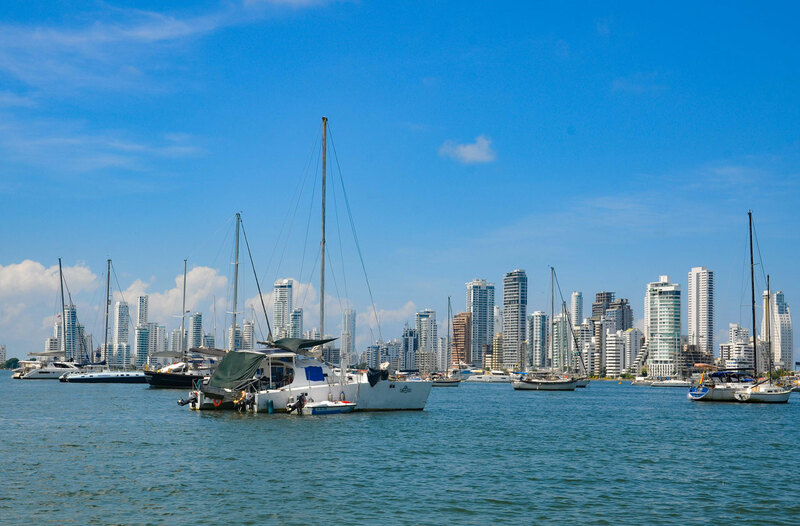 Cartagena de Indias is the jewel in Columbia’s crown. This seaside city is rich with maritime history and bustling with adventure, charm and a past filled with pirates. Founded in 1533 by Spanish commander Pedro de Heredia, the city grew prosperous quickly and with the new found riches, came the threat of attacks from marauding sea pirates. After multiple attacks, Cartagena began to protect itself by constructing walled compounds and castles. Many of which exist today and await being explored. The weather remains constant in Cartagena. It is hot year round. The only thing that changes is humidity and precipitation. December to March is the best time to visit Cartagena: The weather is warm during the day and breezy at night and the humidity is low. But it is the high season so there are more tourists. If you like nightlife, the bars will be hopping at this time of year. There is another secondary high season the week before Easter. It is crowded during this time and prices are more expensive. June through September is the wet season and the hottest months. Walking the streets of Cartagena, it's easy to understand why the city has provided inspiration for many artists and writers. One of the most famous writers is Gabriel Garcia Marquez. 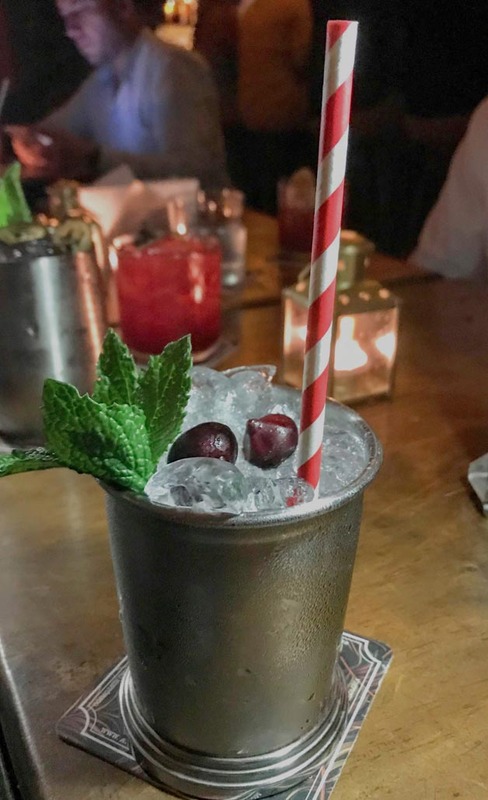 While working as a journalist for El Universal, the local newspaper, he learned about the discovery of a corpse of a young girl with copper hair as they were renovating the Sofitel Legend Santa Clara Hotel, a former convent and hospital. The crypt where she was found can still be accessed through a glass gate at the Santa Clara’s El Coro Bar. This experience inspired his bestseller, Of Love and Other Demons. These are just a few examples of Cartagena’s storied past and what makes this an interesting place to visit. But there is so much more to the city than its rich past. On my journey there, I fell in love with the food, the vibrant colours and history. There is so much to see and do in Cartagena, it’s hard to fit everything into your itinerary. Whether you are a history buff or seeking adventure, here are a few of our favorites. This bustling marketplace is filled with tourists. 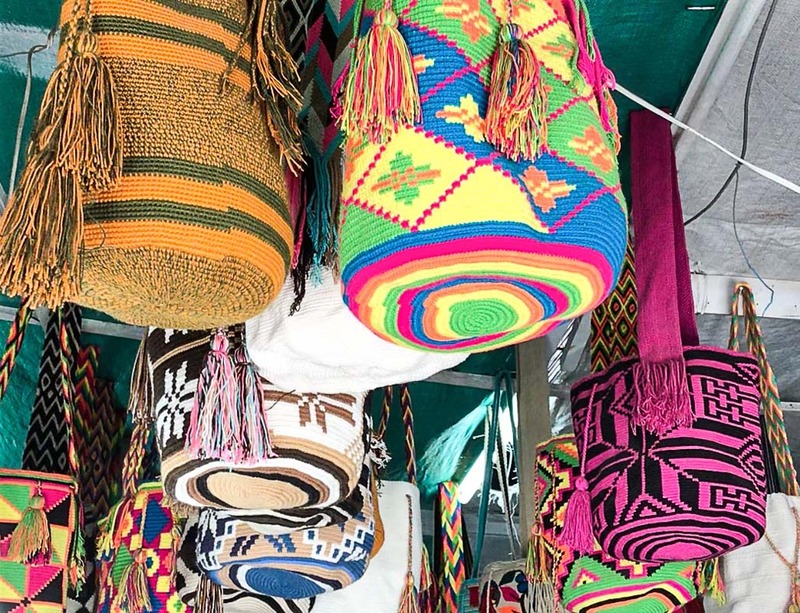 If you brave the crowds you will get a chance to shop for unique trinkets, souvenirs, and beautiful mochila bags made by the women of the Wayuu indigenous tribes. Las Bovedas is a sight in itself. One of the last structures built within the old city walls, it has forty-seven arches and twenty-three domes. It also has a checkered past serving as a munitions store and then a dungeon before its current status as a bustling marketplace. 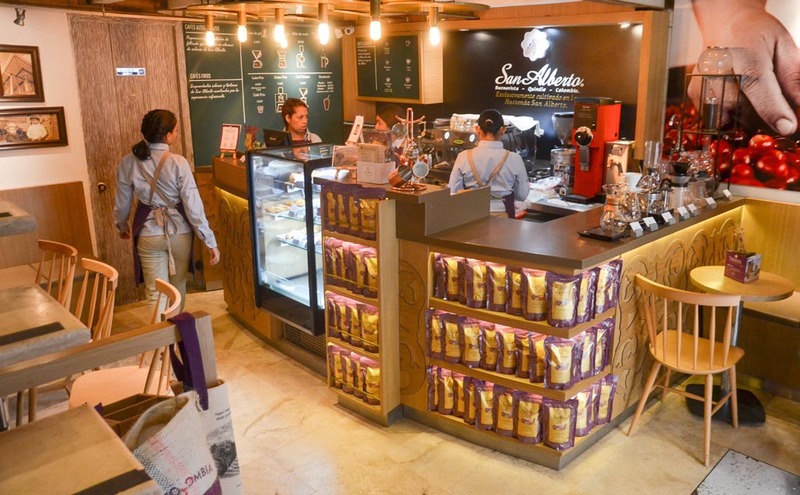 Take a coffee tasting at Cafe San Alberto, led by 3rd generation coffee grower Gustavo Villota. In the class, you will learn about coffee plants, processing coffee and experience a sensorial exercise. This is one of the most awarded and well-known specialty coffees grown in Buenavista, Columbia. After your class, visit the cafe below the classroom to shop for quality beans to bring home. Tempt your senses with a rum and chocolate tasting at the Sofitel Legend. 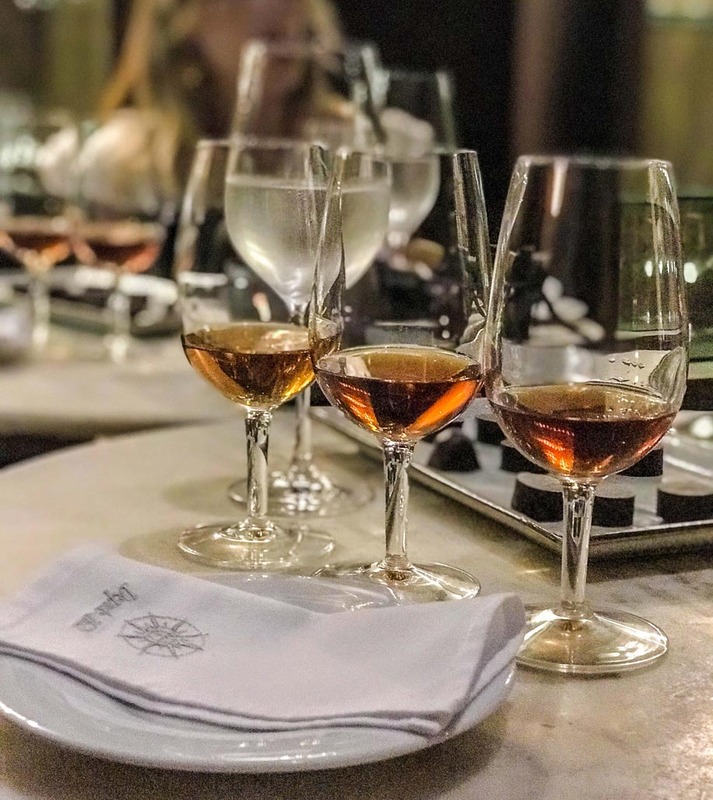 There you will experience some of the finest aged rum in the Caribbean perfectly paired with an array of delicious Colombian chocolate, all curated by the somellier. While there take in views of this historical hotel which was formerly a convent. 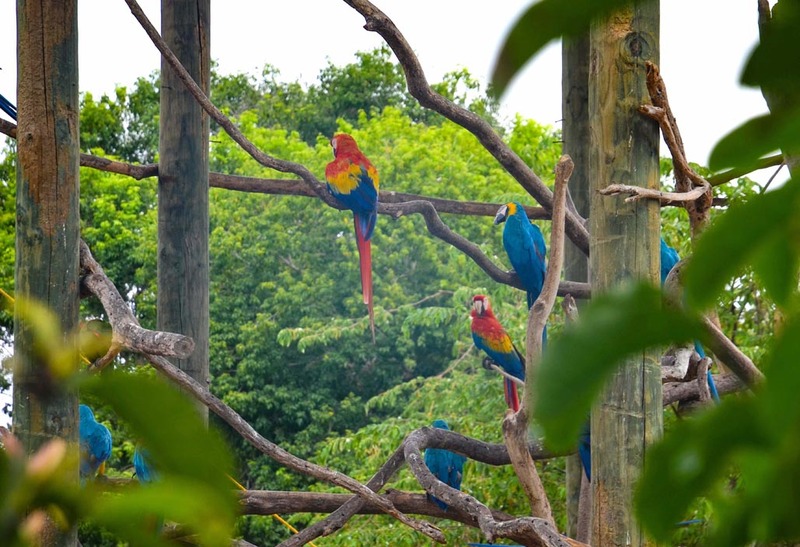 If you love birds then visit the National Aviary of Colombia Tour. It houses 135 species of wild birds and lets visitors learn about the different species through 21 interactive stations. 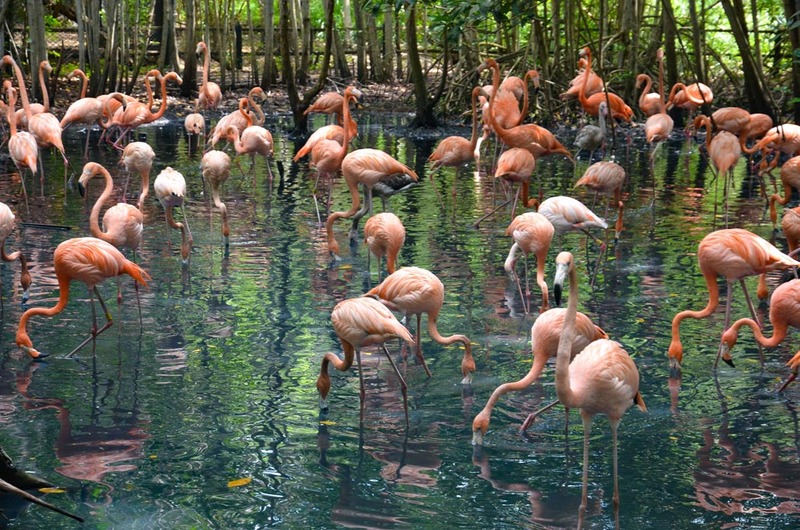 Expect to see flamingos, parrots, emu’s, Harpy Eagles and plus many more. One of the best ways to take in the old city is by walking. Cartagena’s elite still own many of the grand colonial homes in the old city. Walk through the cobblestone streets and get a glimpse into what the city was like centuries ago. 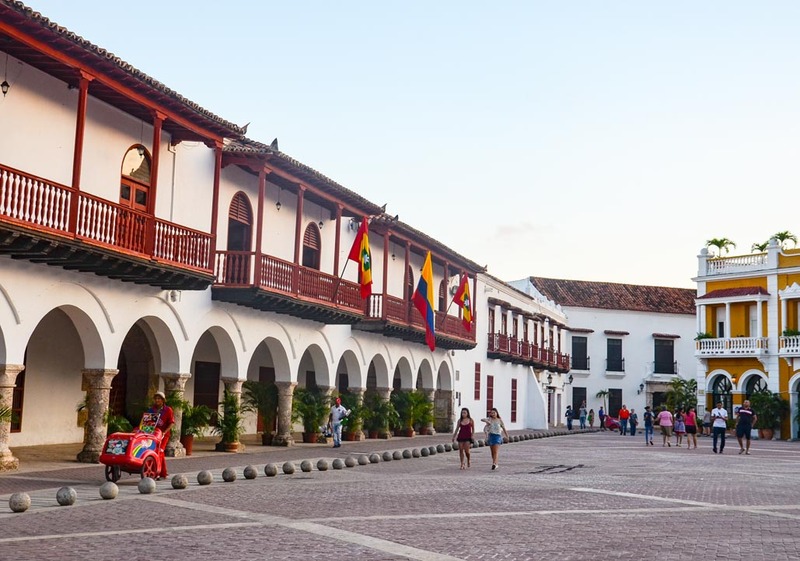 The old city has some of the best places to visit in Cartagena. 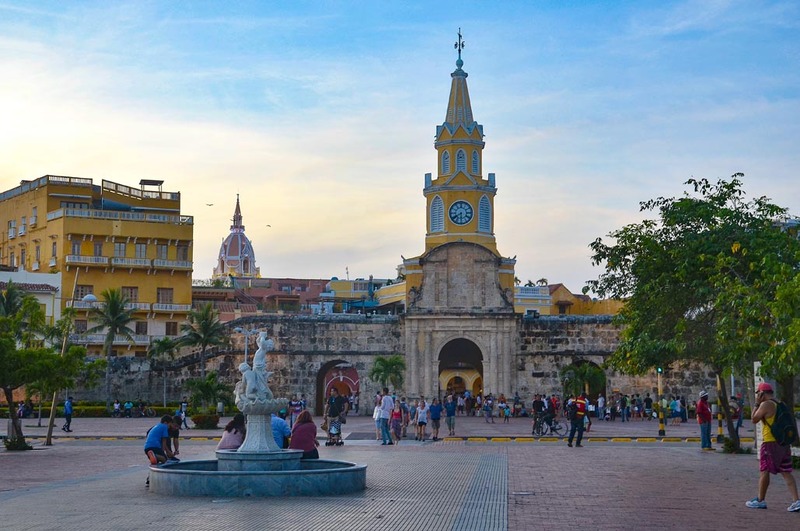 Be sure to stop at the Torre del Reloj, Cartagena’s regal clock tower that stands at the entrance to the old walled city. 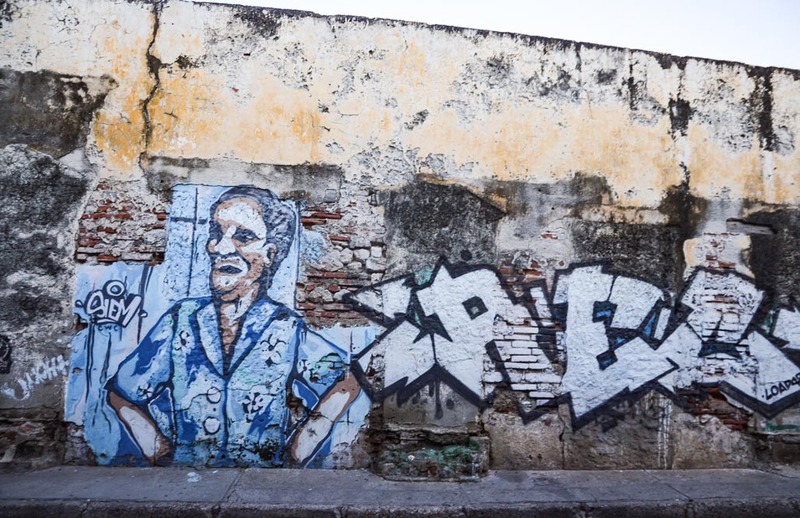 The Getsemani is another stop you should add to your itinerary. 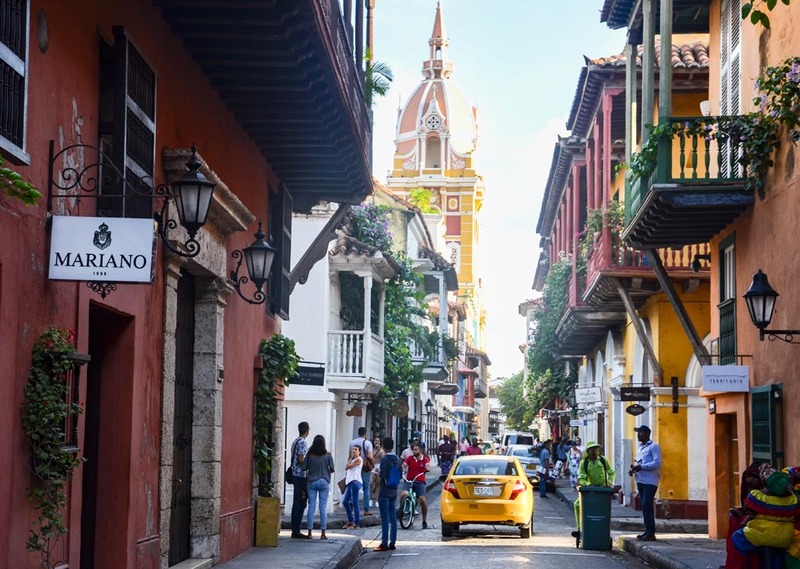 It’s one of the most important neighborhoods in Cartagena plus a cultural and political hub. It’s filled with amazing street art. Bright colors and beautiful murals adorn many of the walls there and keep you captivated as you wander around. Get Your Guide offers city tours and excursions around Cartegena with easy cancellation up to 24 hours in advance. 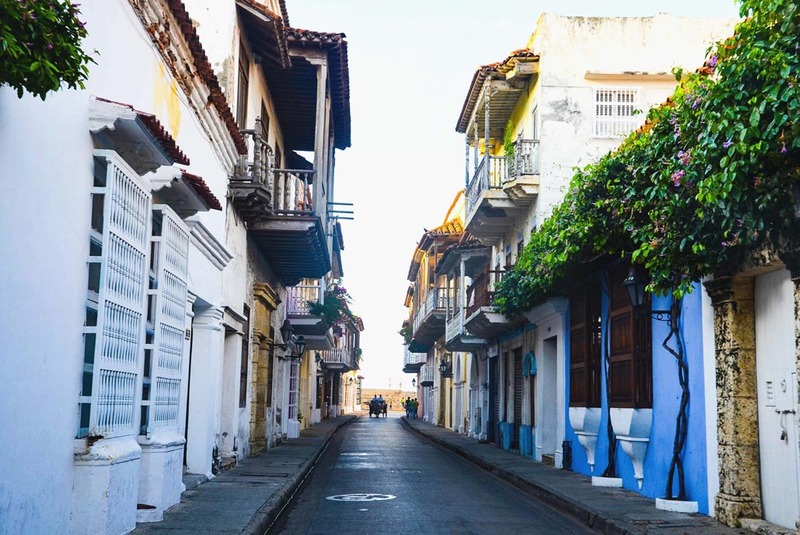 The Cartagena Full Day City Tour takes you through the highlights of the city including Las Bóvedas, the streets of Getsemaní , the tunnel system of Castillo de San Felipe and more for just $49 per person. 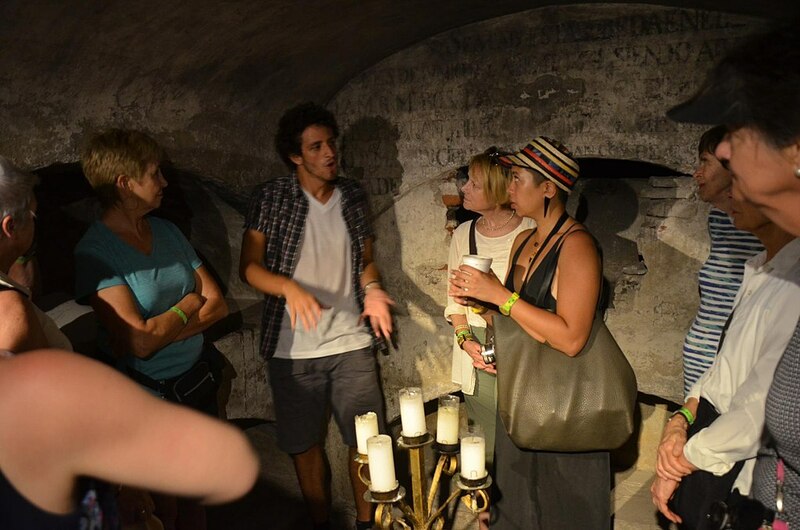 You can also book a private tour of the city for a more intimate experience starting at $156. Just 100 kilometres offshore, but seemingly a world away is the Rosario Islands. There you can enjoy the local seafood and everything that you love about the Caribbean - the clear blue skies, white sand beaches and living on “island time”. To reach the islands consider Sunset Sailing Cartagena which offers day tours. Get Your Guide also offers full days sailing trips to Rosario Islands starting at $86. The Old City comes alive at dark with a rich, vibrant nightlife. If you aren’t confident about your dance skills, don’t worry! Brush up on your salsa skills at Crazy Salsa. Their professional dancers will help you master your moves in no time and introduce you to this popular Latin American dance. 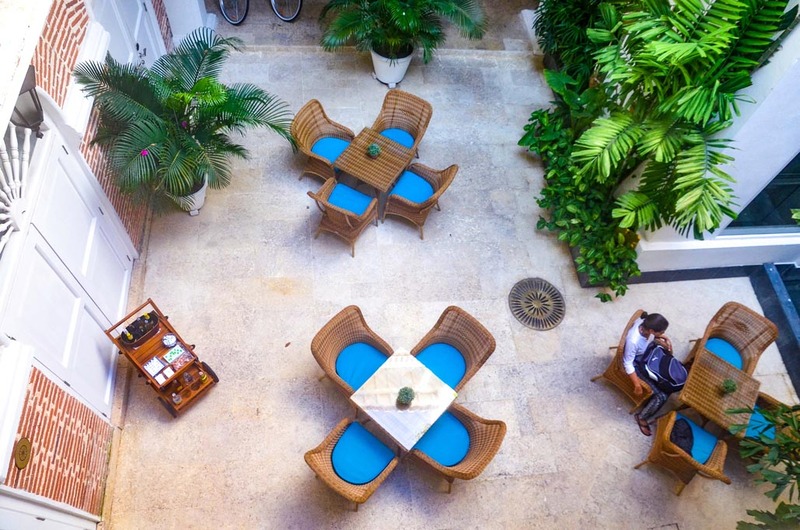 Historical residences and restored convents now house some of the luxurious boutique hotels in Cartagena. Sleeping in quarters built in the Spanish colonial times, you will find that most of the rooms are centered around open aired courtyards but have been updated to house modern amenities. Here are a few of our favorite places to stay. 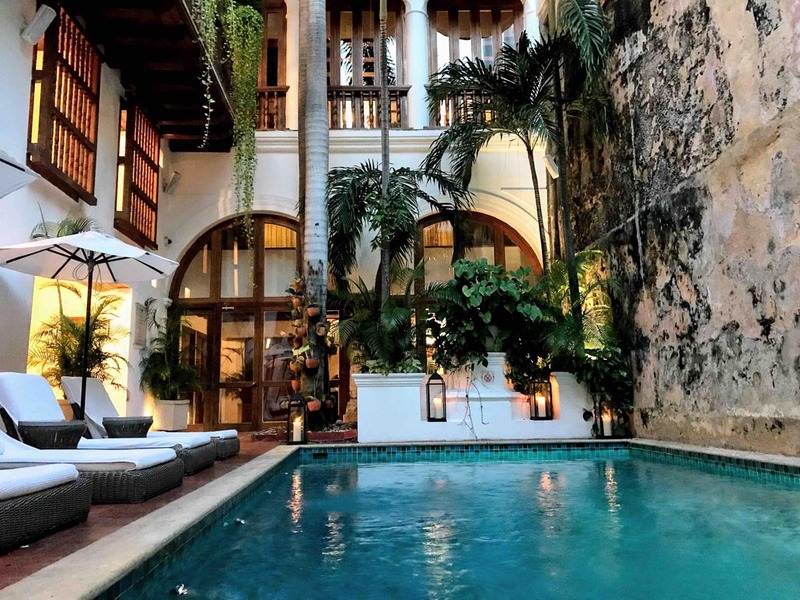 The Casa San Augustin is a boutique hotel that exudes luxury from it’s colonial-era white-washed buildings to its prime location in the heart of Cartagena. It’s 17th-century grandeur at its finest. The 20 rooms and 11 gorgeous suites are located in three houses to give it the feel of home. The architectural details are second to none from the wood beam ceilings to the spiral staircases in some of the two-story suites. Suites are furnished with all the creature comforts, robes and Ortigia Italian amenities. The hotel also includes a relaxing spa and 300-year-old aqueduct in the centre of the hotel with a picturesque L-shaped pool. Fine dining is available in the Alma restaurant which also serves as the breakfast room in the morning. Staying at the Casa Cochera del Gobernador for two nights and we could have easily stayed more. 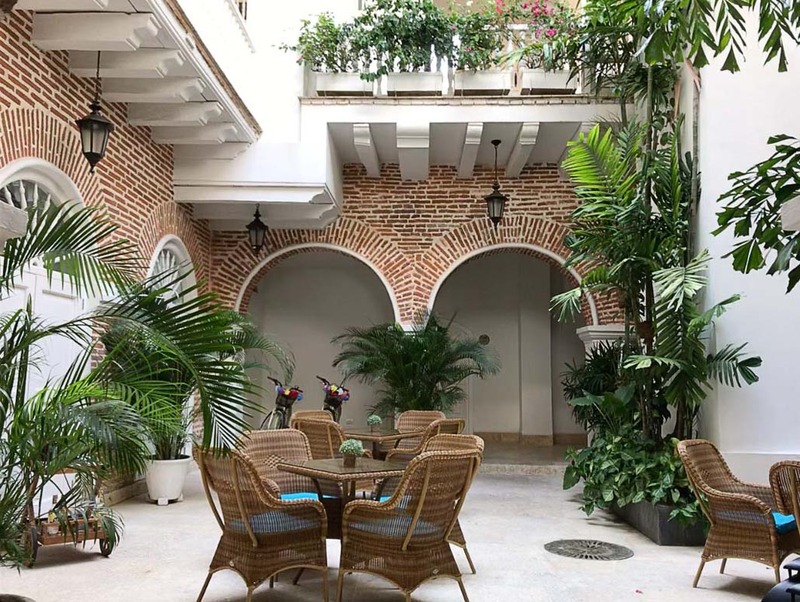 Located in the historic Cartagena de Indias by the Santa Catalina Cathedral and housed in one of the city’s oldest buildings dating back to the 16th Century. The rooms are beautifully appointed with luxurious bedding and a light and airy feel, giving you the perfect backdrop for an evening of rest. A delicious breakfast is served by friendly staff on the second floor and the fresh, local fruit on the buffet is mouthwatering. 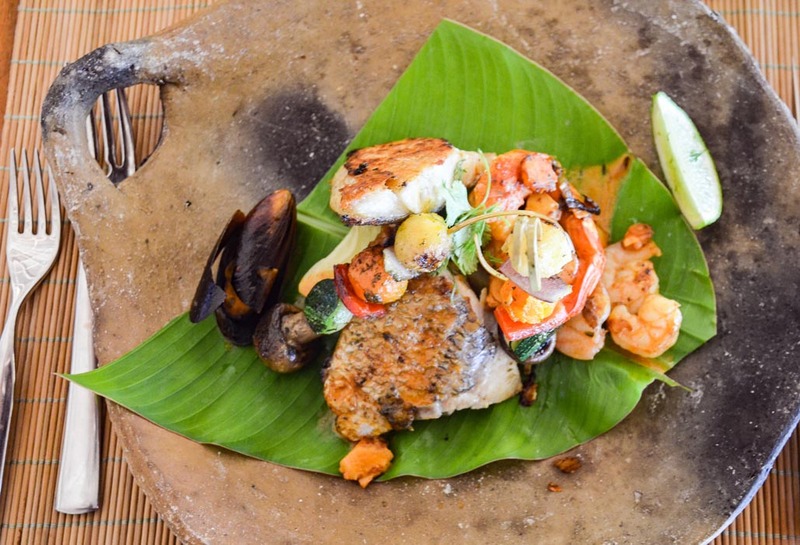 The city’s culinary scene is thriving in Cartagena. Locally sourced foods are abundant here. 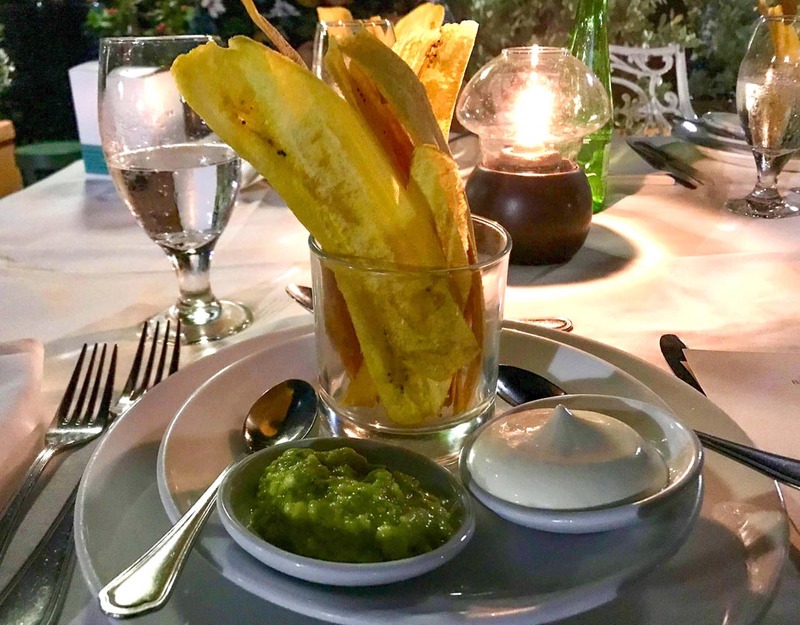 From the bounty of the sea to the fresh locally grown fruits and veggies, many of the local restaurants use this rich resource to create traditional dishes with an island flair. Here you will find traditional dishes like ceviche or arroz con coco or pargo frito. 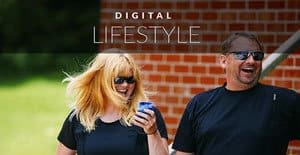 Whether you are dining at a five-star restaurant or grabbing a quick bite from a street vendor, you won’t be disappointed. 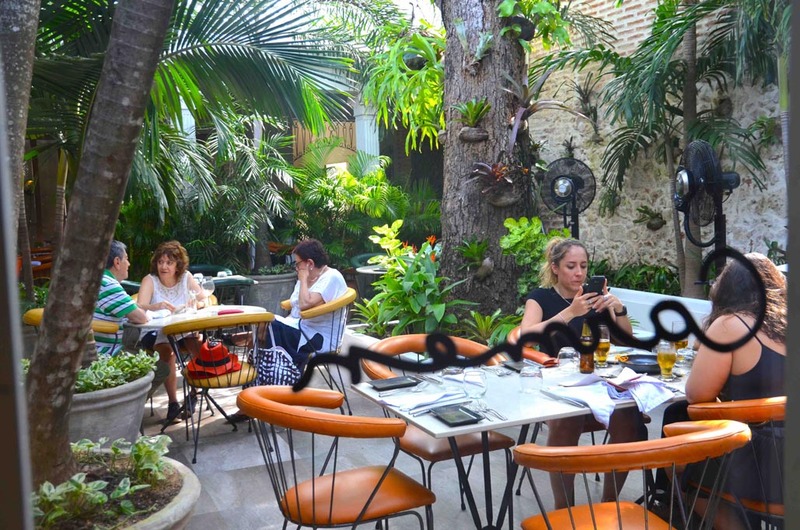 In Cartagena, there is no shortage of amazing restaurants and cafes to experience. Depending on your tastes you can try the ceviche or Mote de Queso at Cocina de Pepina, for traditional Colombian fare and one of the most famous restaurants in the north coast. Just be sure to get there early as they don’t take reservations. One of my favorite lunch spots is Carmen Restaurant. I loved the picture perfect modern décor and the lush tree-filled patio. 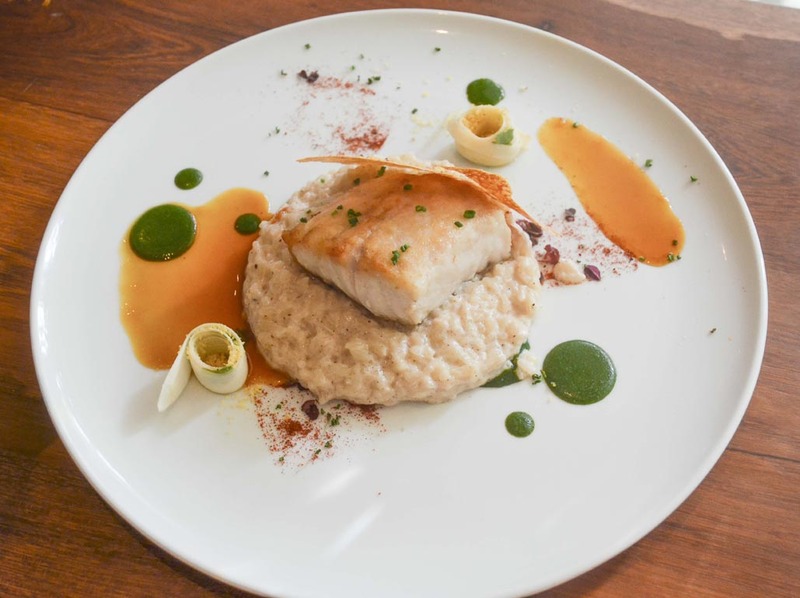 Food is art at this family-run restaurant, serving up local flavors with a modern twist. 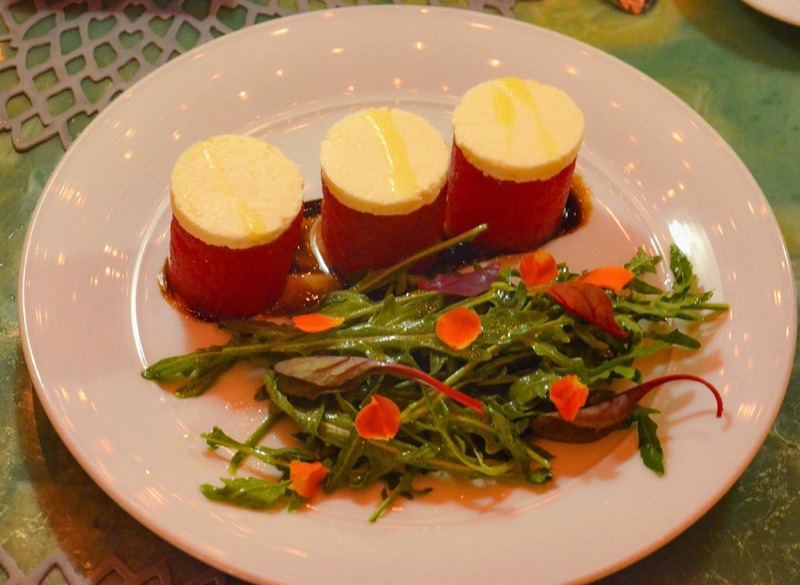 Try the artfully presented salads and ceviche dishes, and mains with fresh fish. Another waterfront option is the Upscale Marea by Rausch Restaurant. There you can enjoy delicious watermelon salads, Ceviche and fresh seafood dishes. Carne lovers can enjoy well-prepared beef filets served with wine jus. Expect to enjoy Michelin star service and food without the hefty price tag brought to you by the famous Rausch brothers. Book ahead for a table in the sought after waterfront terrace, where you not only get an amazing river view, you can enjoy the cupolas of San Pedro Church. Cartagena is located in Colombia, South America. The main language is Spanish. The currency is the Colombian Peso: 1 USD = 3019 Colombian Pesos. See Currency Converter for up to date rates. 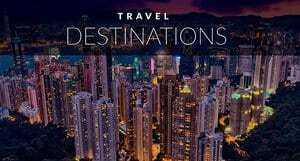 Copa Airlines offers daily flights to Cartagena through Panama City (airline hub). 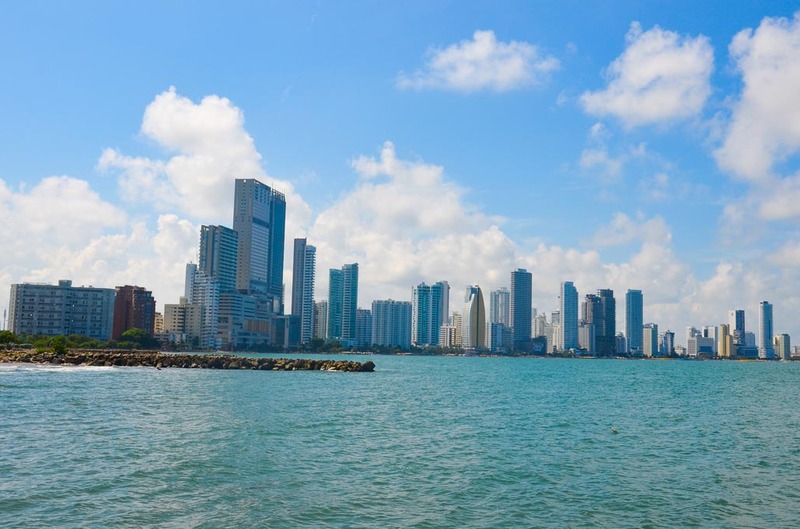 Flying with Copa Airlines allows you a ‘24-hour layover in Panama’ at no extra cost. It's a great opportunity to visit Casa Viejo and the Panama Canal. Cartagena is the perfect spot to get your fill of history, culture and amazing Latin food. Have you been? Where was your favorite place to eat or favorite things to do in Cartagena? Parm is the Owner and Chief Adventurer at Blue Planet Adventure. She is also an accomplished author whose work has been featured in Trivago, Toronto Star, Travel Week, Travelalerts, and Tripcentral, just to name a few. 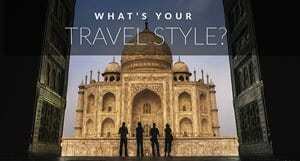 She takes pride in using her love of travel, food, history and culture to craft stories that leave her loyal readers with a serious case of wanderlust. When Parm’s not travelling the world, she resides in Toronto devouring mystery books and catching up on Netflix shows. 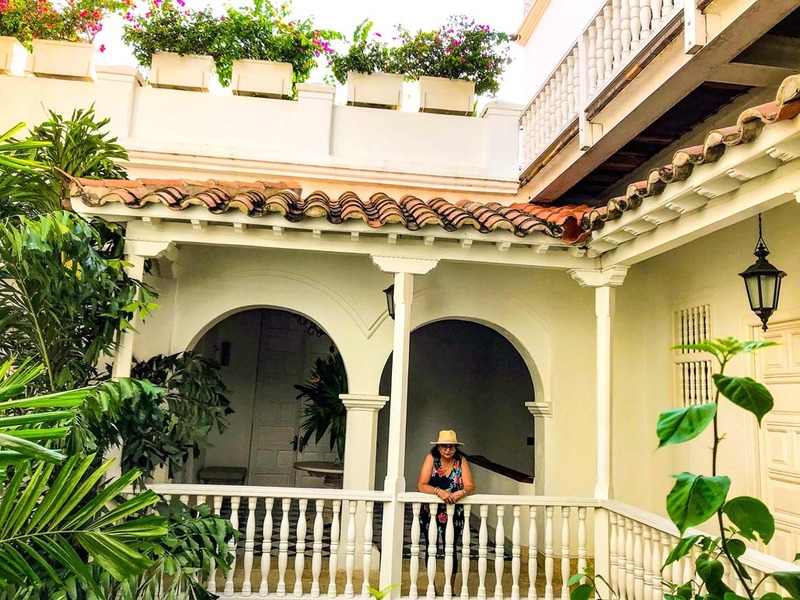 6 Responses to "Things to do in Cartagena – Visit the Jewel of Colombia"
I just got back from Cartagena and wish I’d read your post before I went. I definitely did most of the things you mention here, but there were a few I missed that sound really special. I totally missed the birds and the rum and chocolate tasting. 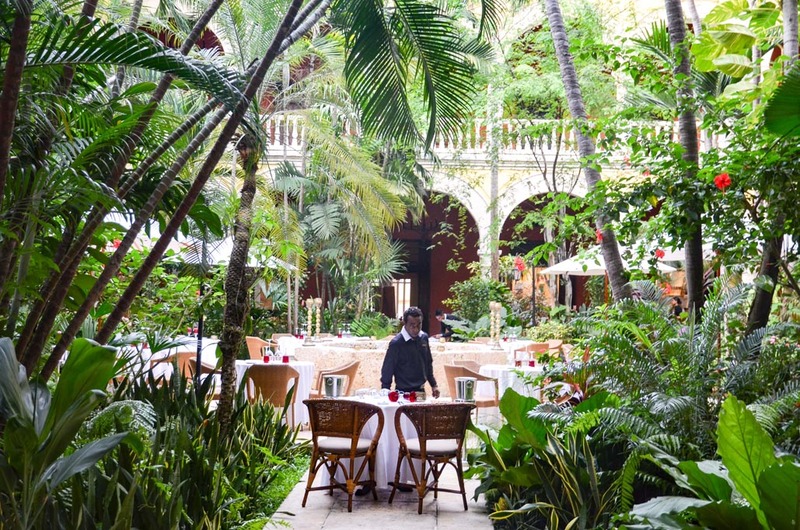 I visited Carmen restaurant and it was one of my favorite things from my visit to Cartagena. Well that and the Rosario islands. I never heard about Jewel of Colombia before, it is very helpful information for visitor, Thanks a lot. Nice experience of Great Jewel of Colombia ! What perfect timing! I’m traveling to Cartagena for the first time in two weeks. I can’t wait to see and do all the things you mentioned here. Thanks for sharing this. 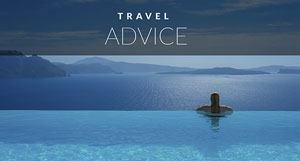 Great place to explore…you’ve listed down some of the amazing things on the list. Loved it.